Orchestra recital in 7th grade. My vocation story begins a long time before I ever heard of the Passionists, and even long before I entered the Catholic Church. Baptized and raised as a Lutheran, I had a happy childhood full of love and adventure – thanks largely to my beautiful parents and sister. However, I have very few memories of churchgoing before I was age 13. In fact, at age 12 I remember denying that I believed in God, not so much because I couldn’t conceive of His existence, but because He meant nothing to me. I just didn’t care. However, the summer before I began eighth grade, my army-engineer father was stationed in Virginia, and our family began attending church again in our new town. From the very first moment I walked into Grace Lutheran Church, I who had been functionally a nonbeliever immediately knew that I was encountering something truer than anything I had ever seen before. God was there. I fell head over heels in love with Him and with the Christian liturgy that day, and it seems as if He has drawn me deeper ever since. Very early on, I developed a strong devotion to Holy Communion, which quickly became the center of my life and the highlight of every week. To receive the Body and Blood of Jesus seemed as necessary as breathing and as sublime as, well, heaven itself! Helping with the children's choir at Grace Lutheran Church. Along with my falling in love with Christianity came an attraction to religious life as I knew it. The only exposure I had to nuns was through the movie The Sound of Music, but in it I saw and heard about a life completely dedicated to God, to his service, to His people; a life in which every breath one takes and every moment one lives is somehow consecrated to God. This captured my imagination, and I remember at about age 14, asking my mother and my pastor, “Why aren’t there Lutheran nuns? Because if there were, I could totally see myself doing that!” The thought got filed away in the back of my mind in a box labeled Catholic Things That Don’t Apply to Me (which is a dangerous box to have in the back of one’s mind! ), and I continued through high school with a great and very secret desire to dedicate my life to God. The only avenue that I knew at the time was ordained ministry in the Lutheran Church, and so I secretly considered following that path. My father in dress uniform and I during my senior year in high school. 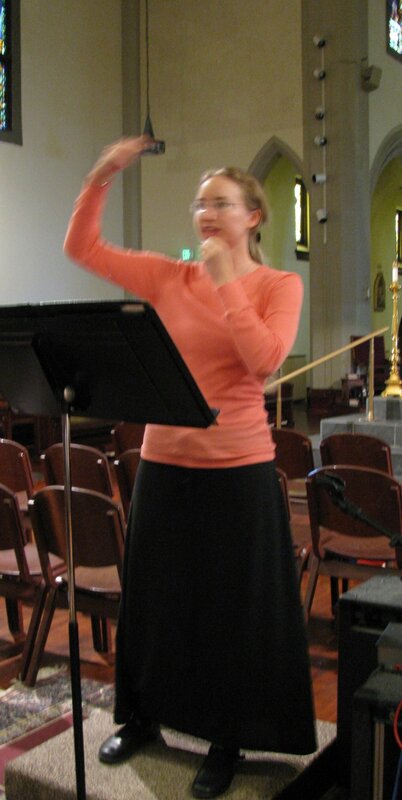 In the fall of 2002 I arrived at the Lutheran St. Olaf College in Northfield MN, in order to study music and classics. For the first time in my life, I found myself among friends who openly discussed faith and religion, and it was an incredible experience to probe and explore the nature of truth among these young people who hailed from nearly every walk of Christianity and agnosticism. Through the “great books” program I enrolled in, I also was exposed to scripture studies and to the writings of the Church Fathers. The more I studied and discussed Catholic and Protestant theologies, the more I found that the Catholics were making sense. My Catholic friends were defending what I had simply assumed was my Christian faith as a Lutheran, particularly with regard to the Eucharist. The Catholics pronounced the Eucharistic doctrines that I had encountered in the liturgy but had not found in Lutheran theology; the Catholics maintained the simple and mysterious assertion that on the altar really is the Body of Christ whom we praise, adore, and receive into our own bodies. For me, this was a sine qua non – where the Eucharist was, the Church was, and where it wasn’t, I couldn’t be! Hiking on Mt. Baker near my parents' home. That same year, I discovered the Rosary – a friend taught me to pray it in Latin – and Eucharistic Adoration at the local Catholic parish, and between the two of these devotions, things simply snowballed. By the end of my freshman year of college, I realized that not only was I considering becoming Catholic, but I was well on the way to doing so. At a certain point, I realized: “I’m going to be Catholic. Catholics have nuns. I could be a nun!” The box at the back of my mind had opened! For about two weeks, I searched the internet for various communities of nuns, but I soon realized that I needed to step back and address the larger issues first. After I figured out who God is and what the Church is and where I fit into all of it, then maybe I could tackle discernment. Of course, a major part of that journey of “figuring out” was delving into Catholic teaching on ordination and on the vocation of Christian women. A friend pointed me to John Paul Mulieris Dignitatem, “On the Dignity and Vocation of Women,” and his Ordinatio Sacerdotalis, “On Priestly Ordination,” and these documents had a profound influence on my understanding of my own identity in the Church. The seeds they planted in my heart have steadily grown and blossomed over the years since I first read them. Second study abroad, passing through Assisi. My senior year in college presented me with the necessity of deciding my post-baccalaureate direction. I knew that, although I longed to find and enter a convent, I was a very young Catholic and spiritually unready to take that step. Turning my attention, therefore, to applying to degree programs in Scriptural Studies, I found that my heart became more and more confused as the process unfolded. I took my confusion to Eucharistic Adoration and asked for God’s help in knowing what to do. He used that hour to remind me of what I was about. In the midst of writing “why I want to come to your school” essays, I had forgotten the deepest desires of my heart: to exist always in adoration before Him, and to impart to the whole world the joy that I had received from Him, my very being becoming a channel of His love and grace. After reminding me of these desires, He made it clear that He wanted me to attend not the more prestigious schools to which I had been admitted for doctoral studies, but the University of St. Thomas in St. Paul MN, where He would prepare me to fulfill these desires. While earning a Masters of Arts in Catholic Studies at UST, I was able to live in an archdiocesan-run Women’s House of Discernment, which was a beautiful experience of living in community. The three of us shared a common prayer life – a Eucharistic chapel right in our home! – as well as common meals and a vibrant friendship. I was able to have a spiritual director for the first time, and my degree program gave me the opportunity to study in Rome for six months. Both in Rome and at UST, my studies and activities kept me in close contact with the seminarians and priests, which was a great grace for me. Part of my involvement with the Discernment Household allowed me to help the Vocations Office lead a “Nun Run” for young women interested in learning about religious life. I was one of thirteen who piled into two cars and visited ten different convents in ten days in March of 2007, and our itinerary brought us here to St. Joseph Monastery. 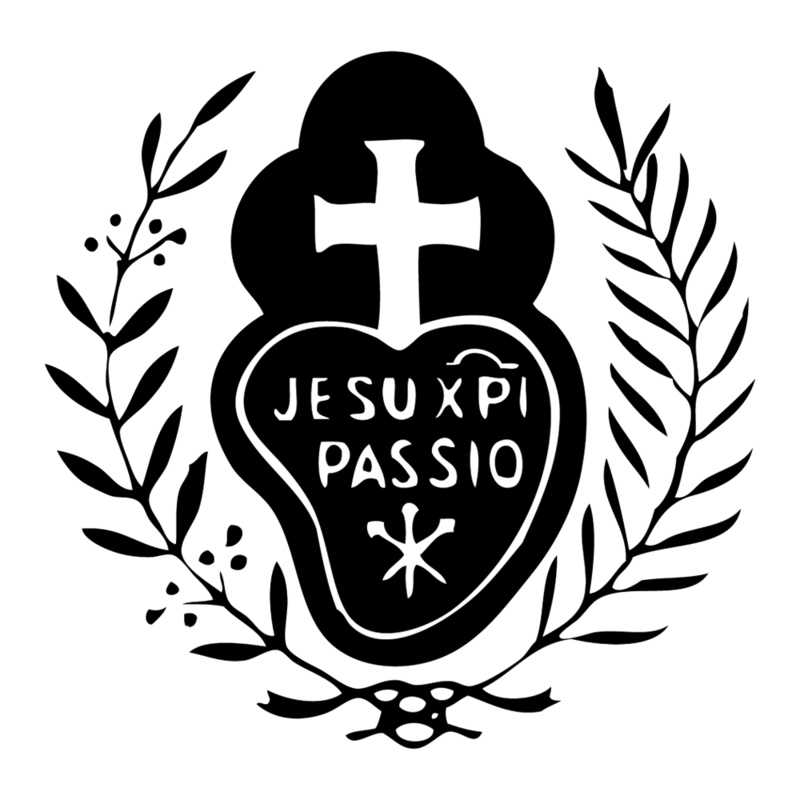 At the time, I had never heard of the Passionists, but in the two nights and one day we spent here, I instantly recognized my own heart in the Passionist charism. Not only did I find incarnated here the precise desires to which God had recalled me in that hour of Adoration, but since high school I had desired to pour myself out in adoration and thanksgiving at the foot of the Cross; the Sorrowful Mysteries of the Rosary had long been my favorite; Our Lady of Sorrows had insisted on being my patroness in the Discernment Household; and my focus during that Lent had been on dwelling in the pierced side of Christ. Conducting the choirs at Assumption Parish. After the Nun Run, I was fairly certain that I had a Passionist vocation, but I kept receiving both interior and exterior confirmations that it was not yet time to enter, that God had more work to do in me. So I finished my degree and in 2008 returned to the monastery for a live-in visit. Despite my wonderful and peaceful experience during those days, the Lord still told me to wait, and so I moved back to Washington State with the intention of entering the workforce. Almost miraculously, I was given a position as parish music director at the local Catholic Church, which was an entirely graced experience. Wholly unlooked for, it was for me a priceless opportunity to grow in holiness as a Catholic laywoman working in the very heart of parish life. I told God when I accepted the job that the vocational ball was in His court, and that I was not going to worry about the next step until He gave a clear signal. In Lent of 2009, during an 8-day Ignatian Retreat, He finally invited me to come follow Him to Calvary and I was able to begin my Aspirancy with the Passionists that August.